LONDON, 1899 Something strange is happening on the London Underground. The ghosts which haunt the platforms and tunnels are being seen much more frequently than usual, and it seems that they have become angry and frightened for some reason. There is, apparently, something on the network of which even the dead are afraid, and the train drivers and other staff are becoming increasingly reluctant to work there. The new atmospheric railway is being installed, and the railway companies are demanding that the mystery be solved before their investments go up in a puff of steam. When a train driver named Alfie Morgan is driven insane by something indescribable in the remote section of the network known as the Kennington Loop, Queen Victoria instructs her Bureau of Clandestine Affairs to investigate. Enter Thomas Blackwood, Special Investigator, and Lady Sophia Harrington, Secretary of the Society for Psychical Research. Along with Detective Gerhard de Chardin of the Metropolitan Templar Police and the famous occultist Simon Castaigne, Blackwood and Sophia plunge into a terrifying adventure which takes them from the dank tunnels of the London Underground to the depths of interstellar space and a dying planet known as Carcosa, where a horrific being from beyond the ordered universe has set its sights on Earth. 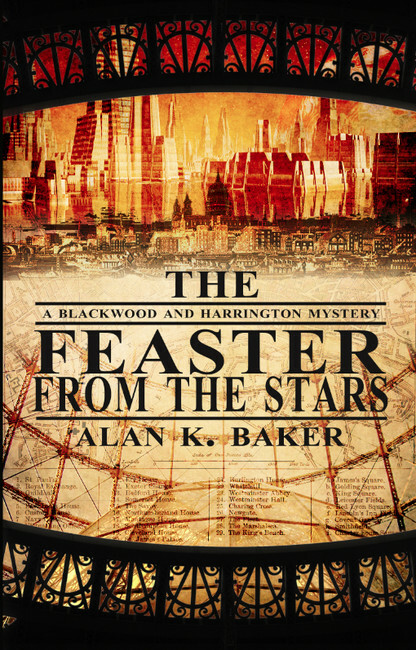 The being is known as the King in Yellow, or the Feaster from the Stars, and unless Blackwood and Sophia can prevail, it will descend upon the Earth and consume every living thing upon it!